Max: People here are suffering, and what do we do? We brought a few water bottles. Why don't we throw some paper towels at 'em while we're at it? I'm loving these little political jabs. Liz, when I saved you, it was because you were shot and there was a bullet in you. Something was happening to you that wasn't supposed to happen. It was before your time. But I can't just heal people. Later, he's in the hospital room with Liz and her unconscious grandmother, and he says "I can't stop, you know, what's gonna happen. But maybe I can help you say good-bye." And then he brings forth a vision of Liz's grandma, who says "Promise me one thing that you'll follow your heart wherever it takes you. Trust it." ... and then Grandma dies. First, the whole logic felt off (Max can somehow tell when it's someone's time to die, and only then can he intervene), and then the Vision of Grandma felt like something Max might be able to generate himself, to have the Spirit of Grandma say "choose Max over Kyle," before he kills her. Yeah, that's a deeply cynical look at the scene, but that was my first reaction to Max saying "she's going to die, but I can let her speak with you, one last time." And then there was Kyle's trying to distance himself from his "degenerate" friends who beat up Max, only to say "they're good guys" a moment later. Maybe it's something a high school boy would say to his girlfriend, trying to say he's not like his jerk friends, only to defend those jerks when his girlfriend says "yeah, those guys are jerks," but it sounded pretty dumb in the moment (which could be just a like a high school boy, so I'm going in circles :) ). 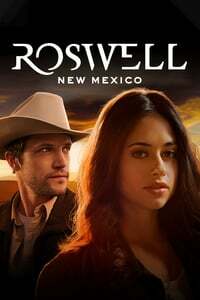 Comparing the turn-of-the-century Roswell with this Reboot, new Max's "lightning strike" healing of the one generator felt less strange and bad than all that. Final rant against the original Roswell: I momentarily thought they shot a scene in downtown Roswell, NM, but it looks like it's all southern California and studio lot shots, so shooting in the Las Vegas, NM plaza (Google streetview) and pretending it's Roswell, NM, is a not the worst, given that there are some old western facades and big, green trees (Google streetview).